Each year, the DBA awards scholarships to eligible law students who demonstrate community service involvement, academic commitment and financial need. The 2019 Scholarship Application is now available here. The deadline is Saturday, June 22, 2019. All applications must be emailed by that date to be considered. Rising first-year, second-year, third-year, and fourth-year part-time students who are matriculated at an ABA accredited law school may apply to receive a $3,000 scholarship. The number of scholarships awarded each year depends on the funds raised by the DBA. Winners will be announced August 9, 2019 and is scholarship winner will receive a special invitation to attend our 16th Annual Scholarship Gala to be held in Battery Gardens on Tuesday, September 24, 2019. If you would like to donate to the DBA scholarship fund, please visit our Sponsorship page. 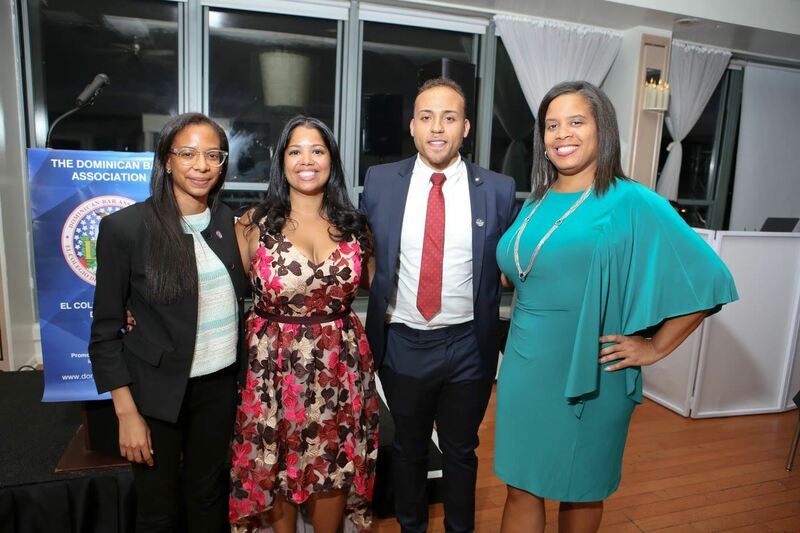 2017 DBA Scholarship Recipient Julia Baez Valetin (Fordham School of Law), President Vianny Pichardo, 2017 DBA Scholarship Recipient Jose Grateraux (Seton Law School), and Scholarship Committee Chair Elsa Marte Hampton at the 14th Annual Scholarship Gala (2017).